With the high popularity of internet, web-design & development has over the past few years become one amongst the most sought -after industries in the world. Some years back, web design was a field where many workers, even some top players in the industry, were self-taught. However, this is very rare today, as employers and clients want to hire web designers who have great talent and formal training. The schools teach numerous classes related to web design such as programming languages, search engine optimization, networking, information systems, website architecture, technical drawing, project management and communication. Basically, the programs give you different options you can use to tailor your education to fit your skills and other interests. The following are some of best schools where you can get a credible web design degree program to get you prepared for your dream job. This school has been rated as one amongst the best design schools in the world. In the year 2010, it was rated the best graphic design school in U.S. the school offers programs for both bachelors degree students and masters degree students. Located in Arizona, U.S, this college is best known for offering best web design programs. The school has been ranked a top university for innovation, affordability, and high quality degree programs. The school also offers over 60 online degree programs, making it one of best schools in the world to study’ web design. The school is located in Pasadena, California. The undergraduate design students do corporate-sponsored projects on product design, and travel to INSEAD in France and Singapore for courses in design and business. The graduate students learn strategy to take on management roles in companies. The school is located in Orlando, U.S. If you wish get started in your web design career as fast as possible, then, this is where you need to be. The college has a great web design associate’s degree program that allows you to learn the fundamentals you need to get started with your career. The school has over 18,000 students. It’s the largest accredited private art and design school in U.S. the school provides world-class accredited curriculum. What makes this school special is the emphasis on portfolio development; from the beginning, students are encouraged to create an exceptional portfolio to show case their skills in web design together with other fields. Located in England, the school has a faculty of technology, design and environment. The school has an international reputation for excellence and innovation. Here students are encouraged to research and increase creativity. The school has been ranked as one amongst the best schools in the world. This is a private-profit Jesuit University in Santa Clara, California. The school presents the students with the curriculum covering both the technological and the creative aspects of web-design and comprehending how individual interact with the internet itself. As the students get deeper in the coursework, they also learn social, ethical and all legal issues surrounding on the internet and how this affect users. The school offers 2 levels of their web design degree programs together with associate’s degree programs in web graphic-design & bachelor’s degree in the multimedia-design. The school’s curriculum also aims to prepare aspiring designers for competitiveness of the current website landscape’ by teaching all the students how to come up with dynamic websites involving video, animations and interactivity. Located in Toronto, Ontario, the school knows that interactive design is a growing field of study. The school provides students will all the fundamental basics such as CSS, HTML, responsive web design, application development and prototyping. The school also regularly checks with the current industry standards to update their curriculum and keep it- up-to-date. Located in Orlando, Florida, the school offers online classes to students in their web design program. The school has been considered one of top schools. 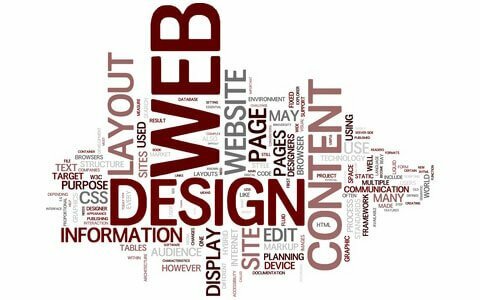 The college offers a program that combines both visual element and back-end technical element to equip you with the necessary understanding of web design.